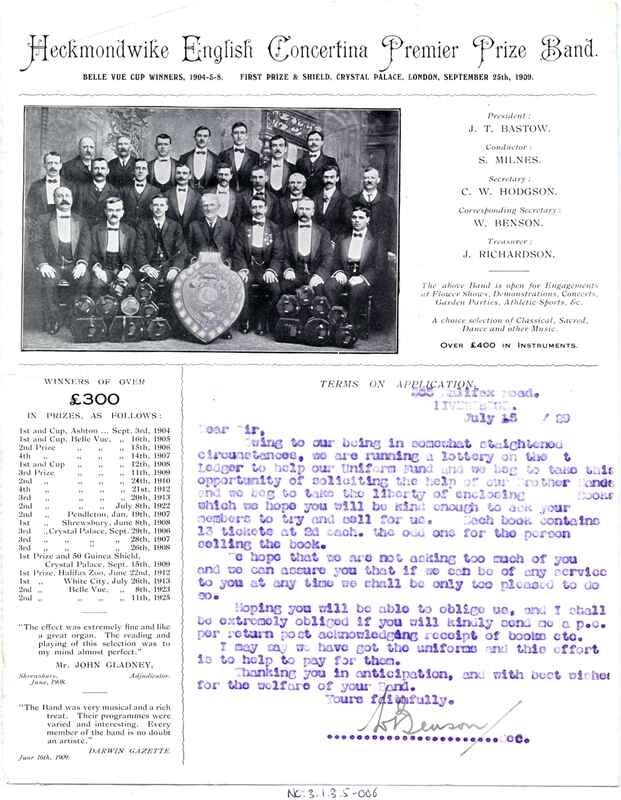 Full Description: An original letterhead from The Heckmondwike English Concertina Premier Prize Band, dated July 15th 1929, soliciting recipients to buy books of lottery tickets to support the Band's Uniform Fund "due to our being in somewhat staightened (sic) circumstances..." Signed by the corresponding secretary W Benson. 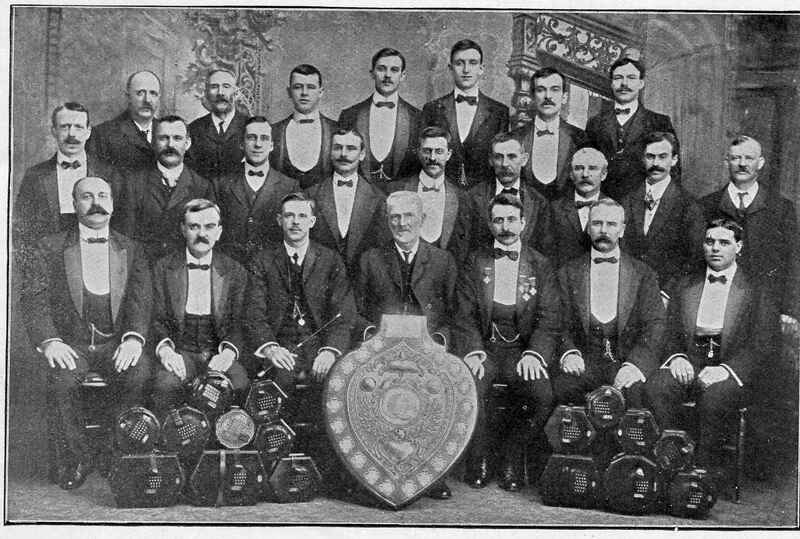 The letterhead has a fine and large image of the Band with concertinas piled in front and large Prize Shield in the centre. 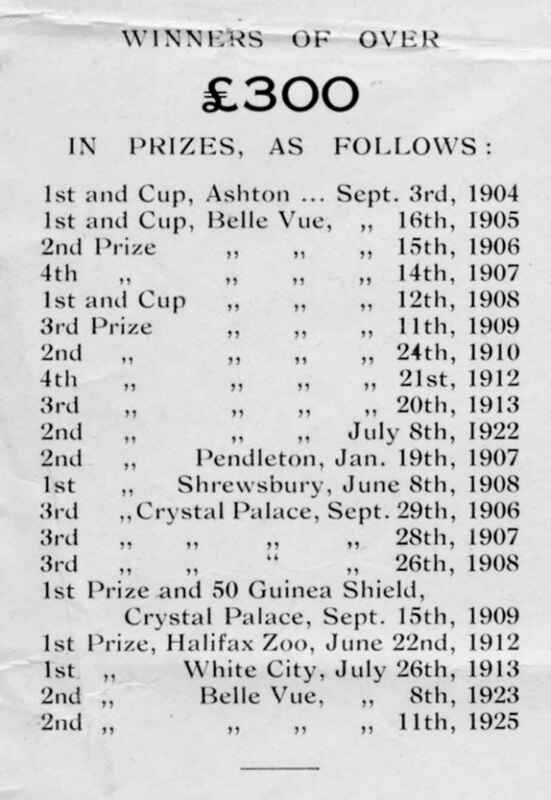 Also, a large panel listing all their prizes and financial winnings since 1904.